“No! Absolutely not!” She popped open the dishwasher in progress. The rush of steam made her eyes water. It wasn’t tears. It just couldn’t be more tears. 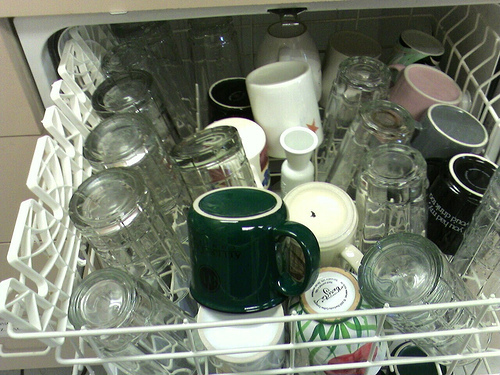 She loaded another cereal bowl into the dishwasher, then the glasses from the evening before, carelessly tossing them in with clinks and clatters that satisfied her angry mood. “I will not move out of my own house and go into hiding like –” She broke off, staring at James appalled. Slowly, she stood upright, drawing a deep breath, not sure if she should apologize. From his perch on the stool at her breakfast bar, he stared at her, his dark eyes glittering. “Like me?” he suggested quietly. “That has nothing to do with any threats,” she said softly. “It was personal — it is personal!” Anna clenched both hands into fists. “You don’t have to get cute,” Anna grumbled, concentrating on unfurling her fists. “It’s annoying, and I never even hinted that I think I’m some kind of superhero. This has more to do with wasting my training because it’s something I should have seen coming.” She stopped talking, aware that her voice would break if she kept going. She hadn’t broken down yet and didn’t plan to until later, preferably when she was alone. “I have an easy solution,” James began, crossing the room to stand in front of Anna. Whatever he was going to say was cut off when Anna’s cell alerted her to an incoming call. “Is this Anna Jeffries?” a man’s voice asked. 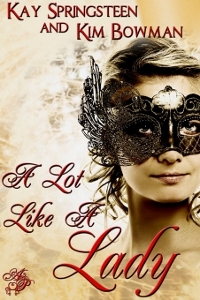 Don’t forget, A Lot Like A Lady, Regency Romance, releasing March 27! This drew me in as there’s so much going on here, I want to know more. Stop with the hooks like that.